“What in the world is THAT?” you say when your friend gets something ridiculous and (in your opinion) just plain weird. This happens daily for our more “quirky” friends but there is something important that happens when you ask that question. You get exposed. You get exposed to a new product, idea, or way of doing something. It doesn’t mean it is a perfect new way that will instantly change the way you do it, but it expands the mind. That is what technology is trying to ride on in 2017. They are trying to expose you (or a limited group of users) something new, fresh, exciting, and hopefully useful. For a product to innovate forward there are thousands of steps for it to move from a pure idea in a person (hopefully an employee) to a fully working concept and out the door for a test. As some say, move fast and break things. (Looking at you Facebook…) The process is always evolving and changing but one thing is for sure a lot of the top trends in tech are constantly iterating on this. To move from “What in the world is THAT?” to “Oh I use that daily” isn’t easy but these top tech trends are on their way and are definitely things to keep an eye on. 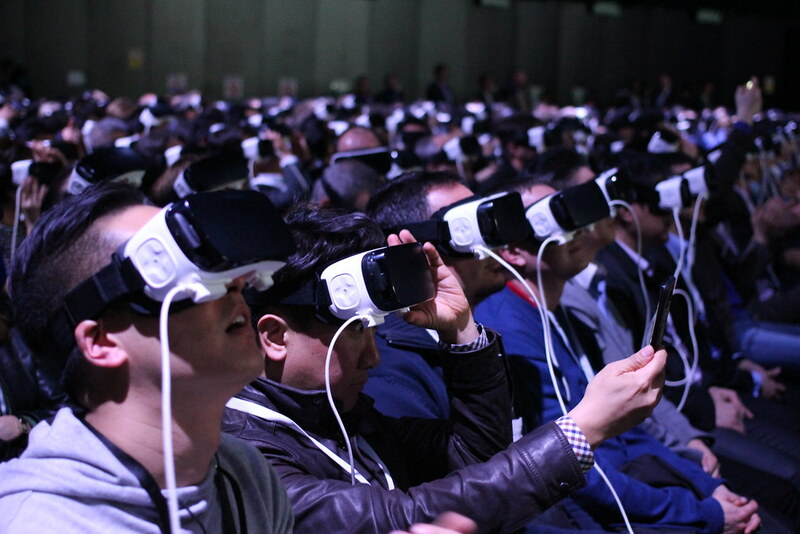 Virtual Reality has moved fast and broken a lot of things, but none of those seem to be massive adoption numbers, though. That being said, it’s just beginning. All the key players are battling it out in the boardroom to ensure their product is the one encompassing the public in an artificial world. While it’s really exciting. I personally see the first wave of VR by the way of “Virtual Reality Arcades.” These Arcades are going to be massive for users to test VR without feeling the need to buy a $300 set for home. That being said VR has a couple other attack methods that could change that. One being the gaming community and the push of eSports. Which brings me to the next thing to watch! While the way it is capitalized doesn’t matter. The movement that is eSports does. What in the world is eSports? It’s the sport of competitive video gaming and its MASSIVE. 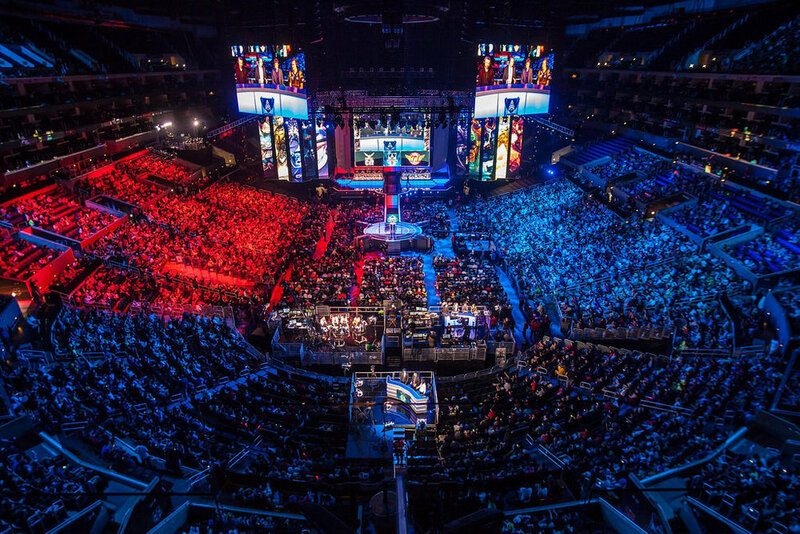 Just to give you an idea of the magnitude of eSports. The League of Legend (or LoL) finals sold out the LA Staples Center in one hour! (and that was in 2013) It’s being supported by universities, their target age group is expanding, and public interest is increasing. All good things for a new way to “Sport”. Voice is arriving on the scene that chatbots left in 2016. Don’t get me wrong chatbots have a place and they are vastly improving but the voice is here to save the day. Voice as an interface in the most boiled down definition is the ability to control a machine with your voice. If you are thinking Star Trek like abilities of just talking into thin air and massive things happening, think again. Voice User Interface can come in that form, but Siri is also a VUI. VUI’s have a pretty good ability to change the way we do our everyday tasks if you look at the way Google Home and Alexa are attacking it. If you heard anything from CES it’s probably that Alexa won the show and for good reason. The main thing that Google Home and Alexa have that make them so powerful (besides an advanced personal assistant set-up) is their far-fielding microphones. This is the technology that allows Alexa and Home to hear you from across the house or in the next room without having to have a ton of Amazon remotes laying around. It’s also the reason they’ve started working so dang well. Augmented Reality is massive and this year will be extremely important for it. An easy way to think of AR is the way Snapchat adds those snowflakes to the world, and flower crowns to your Snapchats. These Snapchat lenses have been one of the smoothest introductions of AR to the world without the public even knowing, and it’s powerful! The implications for marketing and advertisement are massive. With Snap’s IPO this year I expect a massive breakout in this potential revenue model for them. This is an increasingly competitive and fragmented market that has more players than I can even count, each with their own important offerings. From Slack debuting their “Enterprise” level offering next week and communication/collaboration being the backbone for how all industries connect you can and should expect massive innovation in this space. From connecting companies that have large amounts of non-desk employees by Beekeeper to Slack channels with threading, this has been and will be a massive growth year for Enterprise communication tools. While there is always a lot to keep your eye on these days these 5 above are some key aspects I’ll be keeping my eyes on in 2017. Thanks for reading! If you enjoyed this you'll love my newsletter. Sign-Up HERE. Didn't like it? Felt it could be improved vastly? Let me know how HERE. I'm always looking to improve. BONUS: Live/Delay Video Social Media Evolution. This is a rapid process and it’s happening overnight. Content creators and Media publishing companies are jumping into video dominant social media aspects like Twitter Live (Which I love and a HUGE shoutout to @Cheddar) and Facebook Live with variable success. This year will be a pivot point and a massive change in the way we consume media. I’m extremely excited!